Today, after months of ‘getting our ducks in a row’, the ECA’s new communications department launches its first electronic newsletter – Wired. 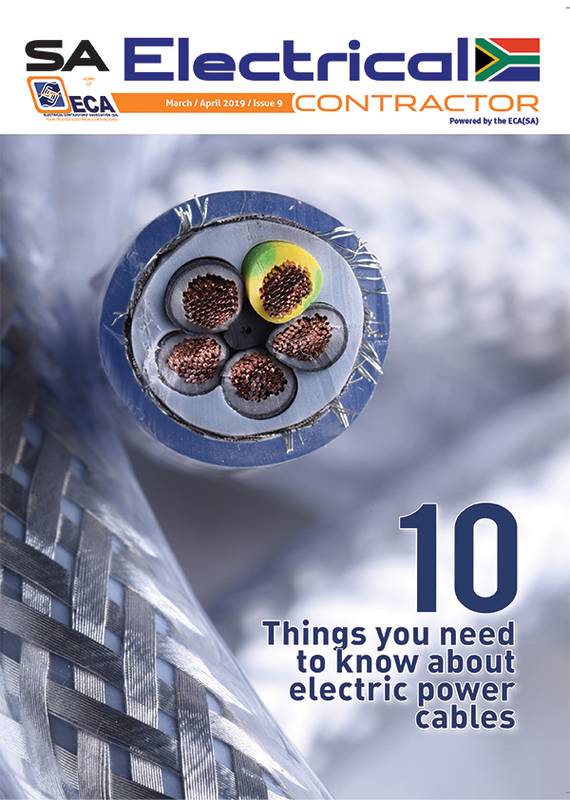 The ECA(SA) is widely regarded as the ‘voice’ of electrical contractors in South Africa and this newsletter is our microphone. 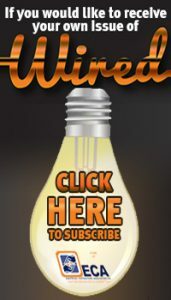 Twice a month, on the first and third Tuesday of every month, you will receive Wired – with the latest industry news and updates – delivered to your inbox. This is a very exciting time for the ECA because we are giving our members added value: Subscribers will be able to access our publications across all platforms – pc, tablet and mobile – no matter whether they are in the office, on site or at home. Remember to stay connected and, should your contact details change, simply contact your closest regional branch of the ECAS(SA) to update your information so that you will continue to receive all the latest industry news from us. To find out more about the advertisers’ products, click on their advertisements and you will be directed to their websites. There are more handy links at the base of the newsletter that will take you to the ECA(SA)’s calendar, contact information, Facebook page and Twitter account. So, without any further ado, we hope that you enjoy this first issue of Wired as much as we’ve enjoy putting it together.